A blogger wonders if she should file a tax return since she doesn’t have any income yet. An affordable online conference will teach you about blogging, speaking, and marketing your products. 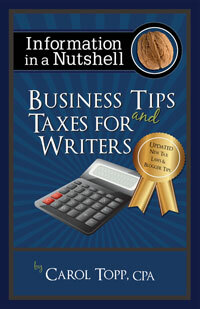 Author and speaker Susan Gunelius compiled a fantastic list of tax deductions for bloggers. Bloggers: don’t be shocked by owing self-employment tax. Are the products bloggers recieve for reviews taxable? The products you receive for review are taxable income. Why? Because you engaged in a business exchange.